Happy Friday! I am so far behind on everything, sorry for the delay on my #littleloves. I am back in the UK now so no more having to do post the day before they are needed but I still can’t get on the UK time and catch up. Feels like jetlag will never leave me. I long for the day I am caught up with everything, everyone, and my blog. Will that ever happen? Doubtful! I am still waiting for my new book to arrive via amazon. Sometimes they come so quick and sometimes they take forever. This one I was hoping was the first instead of the latter so I could get stuck in. But another amazing book showed up instead…”Plate to Pixel” and while that may sound absolutely boring to some, it gets me so inspired. I am obsessed with food styling and food photography so this is right up my street. Even better to be settled in with chocolate and wine to pair! I recently watched Bad Neighbors with Zac Efron. Enough said I know! It’s one of those stupid funny but I really enjoyed it although if a fraternity moved in next door to me I would freak. lol I know what goes on, not something you want next door! The movie is entertaining though especially with Zac’s shirt off. No complaints there. I haven’t really gotten dressed up this week. Nothing fashionably glamorous to share unfortunately. I have been back to running errands and the kids to their various classes etc. Comfy is all I go for these days. With the MAD Blog Awards Ceremony next Friday I really could do with getting my outfit ready. EEEK I can’t believe how fast it has come up. So nervous. There will be shopping going on this weekend for sure. Once again I have failed to get back in the kitchen this week. I am making homemade ice cream tomorrow for Mr P’s return and will be sharing my yummy recipe next week. For the most part it’s just been about the kids making high towers with the legos, and me making a big mess with a new project I am working on. Details to come soon! This week marked a big milestone for me, it was my ONE YEAR blog birthday. To thank all my readers for all their support and loyalty I have hosted a week full of giveaways and it runs everyday until Sunday. I always think it’s so important to give back to those that have given me so much. Fancy any of the prizes below, click and enter the comp. 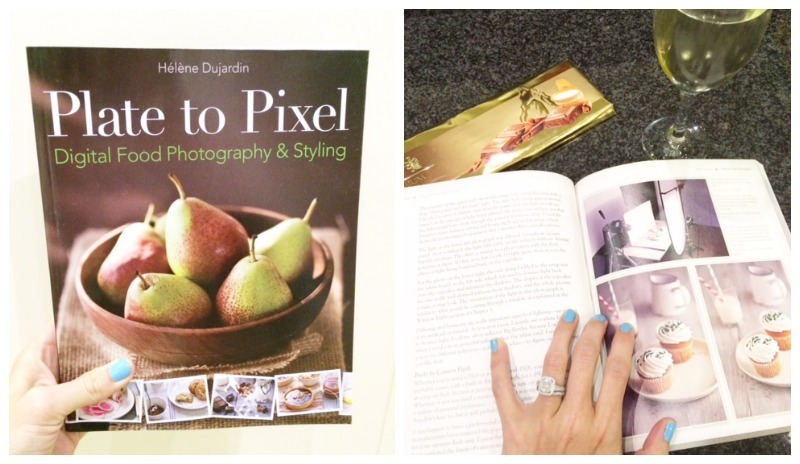 I’ve had that plate to pixel book on my Amazon wish list for a while – it looks good! I am very pleased with it. Add it to your christmas list. It’s just around the corner! Thank you sweet Emma you are a doll face. I am so nervous. But so grateful as it’s been a great year!!! So many amazing things to come I hope. Me too! Thank you so much hunny that means so much to me. Love your support but even more your amazing friendship! Thank you so much. I sure hope so!! Happy Blog Birthday lovely. Hope you survived the week without Mr P.